The E. coli outbreak appears to be over, but other flour products are still being recalled. The Public Health Agency of Canada has wound down its investigation into an outbreak of E. coli linked to flour produced by Ardent Mills after people across the country became ill. But the Canadian Food Inspection Agency continues to announce recalls of flour products tied to the outbreak as they hunt down more of the potentially dangerous bacteria. Thirty people tested positive for E. coli O121 between November and April, including eight people who were hospitalized. No one died. "Final Update," the public health agency says on its website. "Given that no new cases have been reported since April 2017, the outbreak appears to be over, and the outbreak investigation appears to be closed." 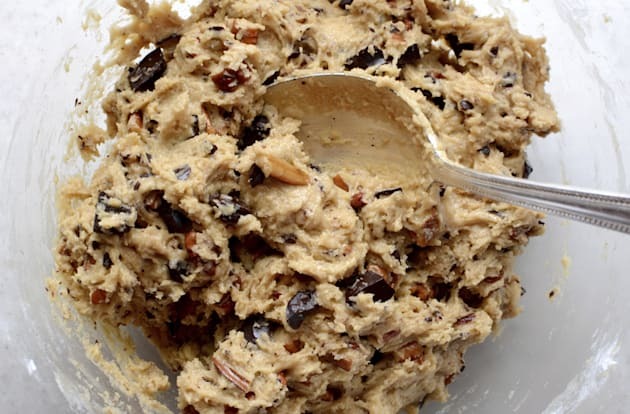 Health Canada issued a release Tuesday warning Canadians that it is not safe to taste or eat raw dough, batter, or any other product containing uncooked flour. The 30 cases included people who became ill in British Columbia, Alberta, Saskatchewan, Ontario, Quebec, and Newfoundland and Labrador. On Friday, the CFIA announced another flour product recall — the 17th recall linked to E. coli concerns since March. Fred Jamieson, a CFIA recall specialist, said food safety investigators continue to trace products that may be linked to the flour in a process he likened to peeling an onion. The sheer volume of products that must be checked is taking time. "It is one of the larger recalls that we have done," he said from Ottawa. "Until we have recalled all the product and identified it, I guess that product on the market would still be perceived as a risk." No information was released on how much flour has been recalled. Food contaminated with E. coli may not look or smell spoiled. Symptoms can include nausea, vomiting, abdominal cramps, diarrhea and dehydration. The bacteria, which can be found in the lower intestines of animals and people, can lead to kidney failure and death. It reminded consumers that flour comes from grain grown in fields which can come into contact with bacteria from soil, water or animal waste. Cooking flour kills bacteria but eating even a small amount of uncooked flour or dough could make you sick. "While anyone can become infected with E. coli, young children aged five and under, older adults, and people with weakened immune systems are more likely to get sick and their symptoms may be more severe," says Health Canada. The public health agency says in one of the 30 E. coli cases, a person who became ill reported having contact with Robin Hood flour and a sample tested positive for the bacteria. Flour comes from grain grown in fields which can come into contact with bacteria from soil, water or animal waste. All 30 cases have a similar genetic fingerprint and some other people who got sick say they also used Robin Hood flour. Recalled products produced by Ardent Mills were packaged under the Robin Hood and other brand names and include bags of flour, pie shells, pie lids, tart shells and cookie dough. On May 31, Smucker Foods of Canada issued a recall for some packages of three brands of flour produced by Ardent Mills that it sells in the United States due to possible E. coli contamination.